So says one of the urban environmentalists I interviewed last summer. Paul Aiken grew up in Jamaica where a glorious nature lit up his childhood. Now, sustainable food expert Paul is determined that inner-city children “locked into London” would benefit hugely if they could taste something close to that. I met Paul after traipsing round London for several months researching what I thought might be a commissioning-editor friendly article on bee-keepers in London. I was working my friend Christina Theisen, a photographer, who was also working on a personal project looking at London’s unusual gardens. The fruits of our work have come together in Gardens, an essay and series of photos. 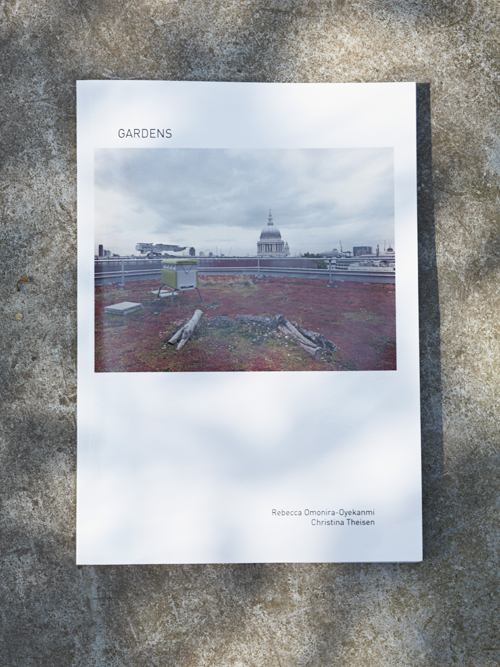 Gardens is a collection of photographs capturing unexpected, tucked-away garden spaces in London: Christina portrays landscapes of biodiversity that co-exist in harmony with their concrete, urban environment. My accompanying essay reveals the creators behind these spaces, their motivations, and why they believe the fight against the collapse of different ecosystems must start in our cities. 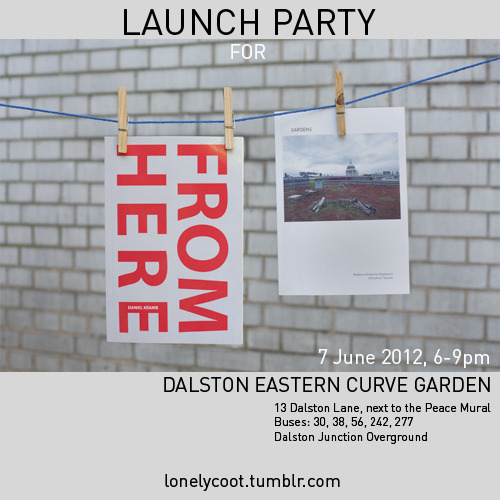 Lonely Coot, a new independent imprint, is launching Gardens and From Here (a novel by writer Daniel Kramb) next week in Hackney. Do join us.